The Landing is the closest condo resort to the world famous Silver Dollar City theme park. 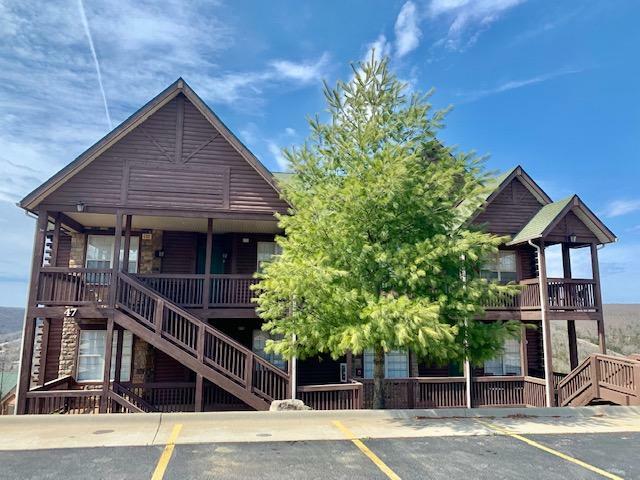 In addition, The Landing at Eagles Nest Resort offers fantastic views of Table Rock Lake with much of the scenery visible from the partially covered decks of these terrific lake view condos. The Landing at Eagles Nest Resort condos are spacious enough for full time living, but also manageable and economical for utilities especially for vacation use. All utilities are public including water, sewer, underground electric, and cable. Many of these The Landing at Eagles Nest Resort Condos for sale in Branson come furnished and are in move-in ready condition. Community amenities are abundant including outdoor and indoor swimming pools, outdoor and indoor splash pad, fitness room, meeting room, hot tub, and owners lounge. Want a copy of the neighborhood restrictions? My name is Charlie Gerken and I'd love to show you everything for sale in The Landing at Eagles Nest Condos in Branson, Missouri. Please contact me today for a showing of this terrific Table Rock Lake condo community.